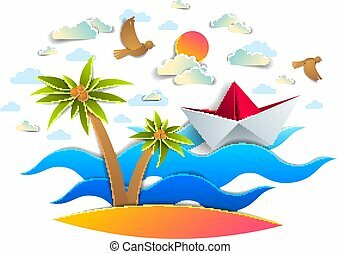 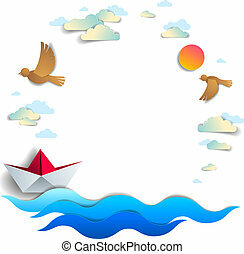 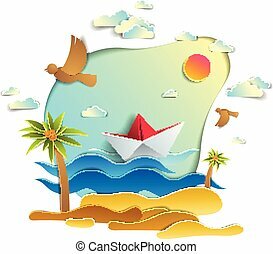 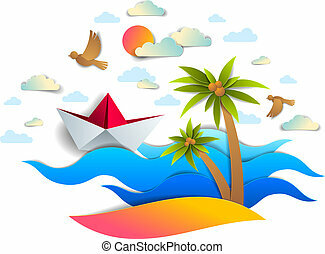 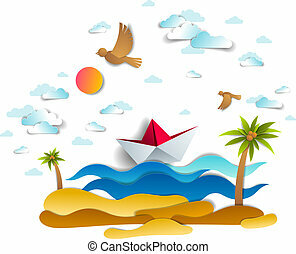 Beach and palms, ocean waves and origami paper ship toy swimming, frame or border with copy space, beautiful vector card of scenic seascape with toy boat floating in the sea and birds in the sky. 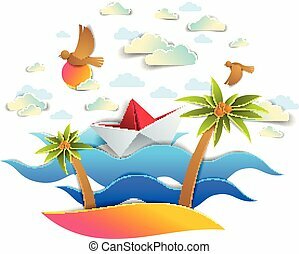 Paper ship swimming in sea waves with beautiful beach and palms, origami folded toy boat floating in the ocean with beautiful scenic seascape with birds and clouds in the sky, vector. 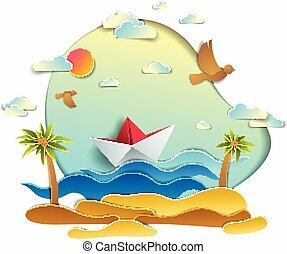 Origami paper ship toy swimming in ocean waves with beach and palms, beautiful vector illustration of scenic seascape with toy boat floating in sea and birds in sky. 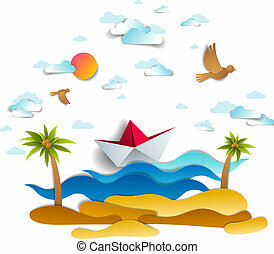 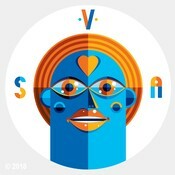 Water travel, summer holidays. 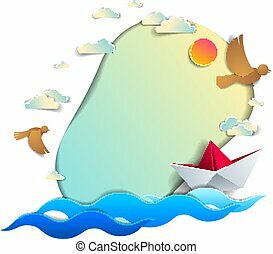 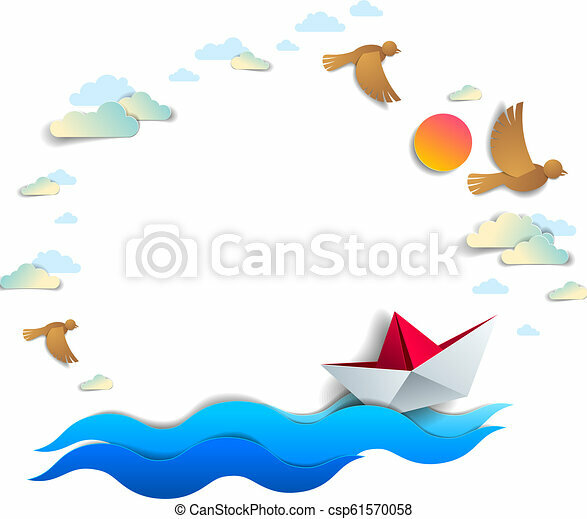 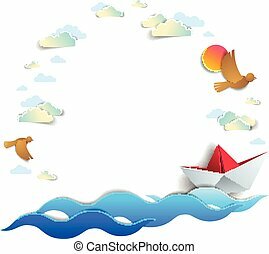 Paper ship swimming in the sea waves with beautiful beach and palms, frame or border with copy space, origami toy boat floating in the ocean, scenic seascape, birds and clouds in the sky, vector.